Telemedicine is a means of connecting providers with remote or underserved patients. Proper telemedicine systems are necessary to be able to conduct clinical examinations on a patient remotely. 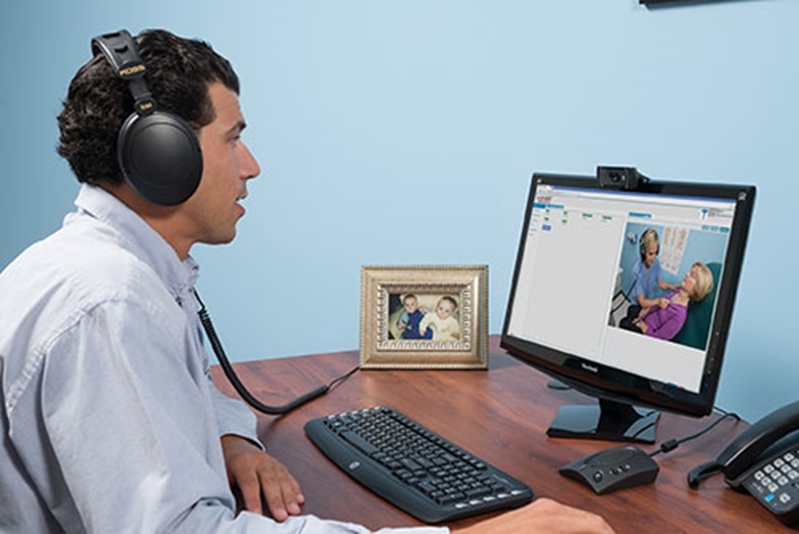 These telemedicine systems typically include an encounter management platform, specialized medical devices and video conferencing network. Importantly, the best telemedicine systems also pair seamlessly with other IT solutions. In this way, treating patients becomes more efficient and dynamic, rather than a technological silo. Working alongside some of the most common EMR platforms, a telemedicine encounter can smoothly integrate data from a check-up or appointment. Images, EKG reports, vital signs data and other information is saved easily and securely, without disrupting existing workflows. Practice Fusion found that only a decade ago, roughly 9 in 10 doctors in the U.S. updated and stored patient records by hand. Since then, paper charts and color-coded files have been replaced by EMR systems that are more efficient and more powerful. Telemedicine systems are also being quickly integrated into everyday healthcare services, and the combination of the two is both cogent and seamless . A telemedicine encounter is easy and simple to navigate for doctors and patients. Images from a telemedicine encounter can be easily added to a patient's EMR following an appointment. The same is true of X-rays, CT scans and other images, ECG reports, or vital signs data. By working with existing EMR platforms, telemedicine systems can adapt to a provider's specific workflow. Because saving data and images is so easy, something as simple as an HL7 configuration file can be used to relay information from a telemedicine software platform into and EMR. This is very much like the way a proper HIE system works. In this way, little needs to be changed in integrating a telemedicine system. This reduces lapses in production when implementing telemedicine into a practice. The most recent technology advancement making a significant impact on the world of integration between telemedicine and EMRs is the availability of robust APIs from the best telemedicine software companies. This means healthcare professionals can work on one platform without having to manage two separate windows or applications, resulting in a much smoother workflow and faster adoption process. EMRs are already leveraged to reduce administrative overhead and the possibility of human errors. Paired, with telemedicine, the two technologies make it easier for healthcare professionals to manage patient encounters, control privacy and reduce the possibility of data entry mishaps. The UI during a telemedicine encounter doesn't just make it easy to store patient data, but also works to eliminate misplaced or lost documents during the charting process. That way a doctor can quickly prepare for the next patient without worrying about any mistakes. The best telemedicine platforms come with robust security measures to ensure the patient encounter is private and well-protected from third-parties or sources of compromised privacy. In this way, it is easy to exchange information in real-time and store the data for later reference in an EMR. An integrated UI also makes it simple for a physician to draw from a patient's EMR during a telemedicine encounter. This makes care more targeted and personal. While a physician is treating a patient using an embedded telemedicine system, an individual's EMR can also be accessed. In this way, an individual's entire health history is available to doctors, even if a patient is dozens or hundreds of miles away. This access to data allows for high-quality care that is more efficient, accessible and coordinated.